News just in from Bernard Gallay at Bernard Gallay Yacht Brokerage that he's sold the 25.91m motorsailor Wish in an in-house deal. 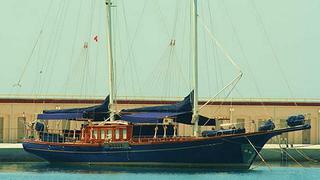 Wish was built by Aegean Yachts in 2004 to RINA class and has a steel hull and mahogany superstructure. She accommodates six guests in three double staterooms and is powered by Iveco engines.